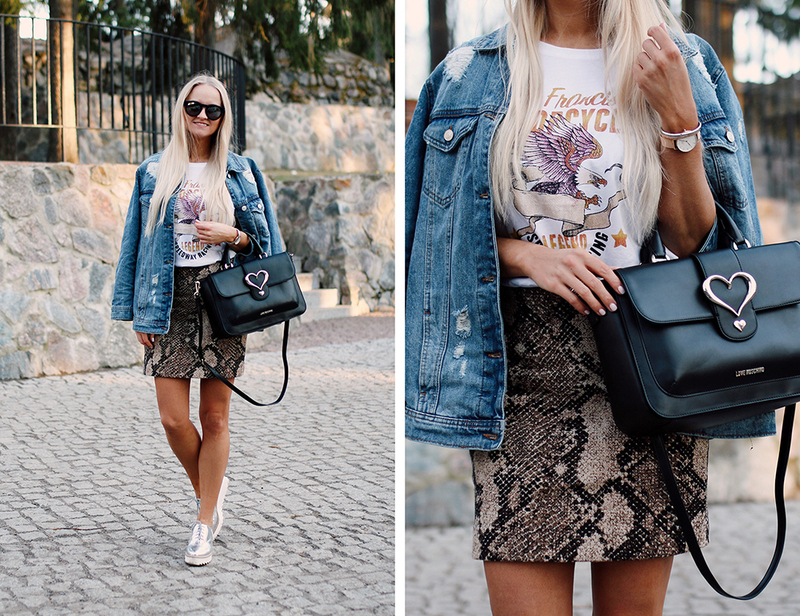 Back in March, during the Tallinn Fashion Week, was the first time I wore my snake printed jacket. 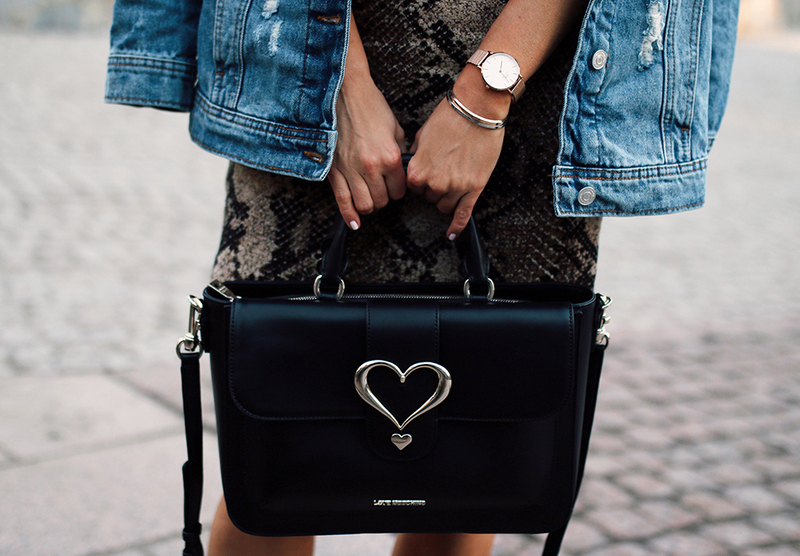 I loved it so much that I also took it with me to Riga Fashion Week. Click here to see my look with the matching jacket. I had this skirt with me in Riga, I don't know why, but I wasn't so sure what to think of it. Something felt off. Maybe it was too much with the matching jacket so I chose to wear jeans instead. This time around I paired the skirt with one of my favourite oversized denim jacket and with a white T-shirt. Ah, may I say that I just love the combination SO MUCH! This skirt will probably be one of the key pieces in my wardrobe over this spring-summer and in wintertime with black tights. By the way, the skirt is still in stores, linked below! Neid pilte vaadates tekib suur suveigatsus. Üks Sinu lemmikumaid outfitte üldse! Väga meeldib!